Today I decided to go to a few stores and thrift shops. My first stop was Home Goods. It was a great day to shop there! I found a lot of great deals, including two framed wall art items that were on clearance for $2 each. I didn’t really like the design of the art, but I loved the frames, so I figured I could change it and I did just that! 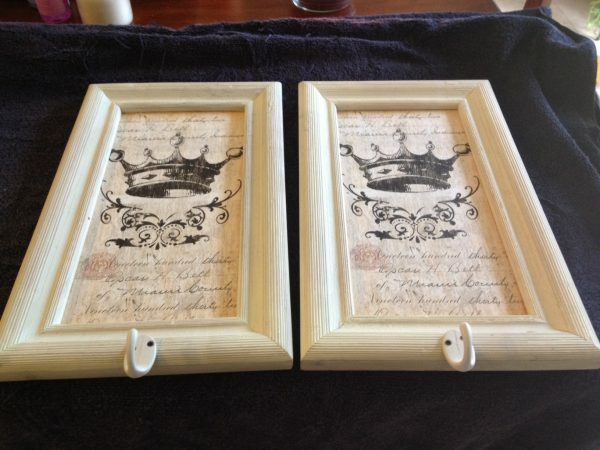 I place masking tape around the inside edge of the frames so I wouldn’t get any paint on the frames. Then I gave the actual art part 2 coats of paint. After the paint dried, I removed the masking tape and made any needed touch-ups. I then applied hot glue to the backs of the starfish shells and placed them on the wall art. It was pretty simple! That is so super cute!!! Great job, Julie! I love cottage/coastal decor and these pictures are right up my alley. very cute! I did enjoy your post! I like the “after” much better. Saw you at the Winthrop Chronicles and happy to be following you via GFC. I am changing the decor in my house to the beach decor. I love this idea! Thanks for sharing. You're welcome! I love beach decor. I've redone my front room to give it a beachy feel. That turned out really cute! I need to add some starfish to my decor, too, this summer. I love the way this turned out. Great job. Thanks for sharing at the All Star Block Party. Love this! I was just at Home Goods today and was sad that all the art on clearance wasn't my taste. Starfish are totally my taste and I am doing this soon! So cute! Love the makeover! Would love if you stopped by my linky party to link this up! Thank you! Shared on your linky party! Thanks for hosting and thanks for stopping by my blog! 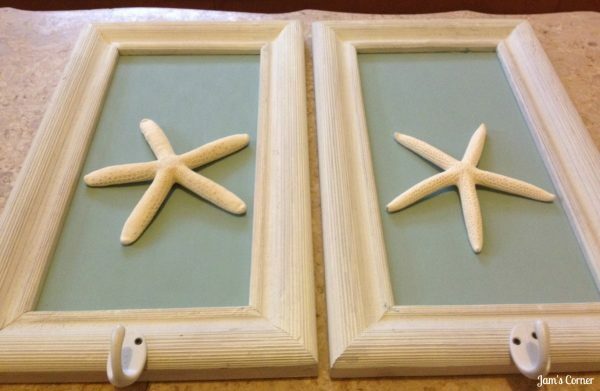 I have few starfish that I need to incorporate in our newly bathroom addition…great idea! Thank you for linking up to the ALL STARS BLOCK PARTY!!! Julie Ann, This is awesome; I love that you gave it a complete makeover for so cheap! Thanks for sharing on Saturday Show & Tell at Cheerios and Lattes last weekend! We love having you join us and hope to see you again this weekend! See you soon! Cute – simple but sweet! Thanks for linking up- please come back this week! I love the after, AS duck egg is the best color! Thanks for sharing on Tout It Tuesday. Hope to see you again for tomorrow's party. fabulous project! thanks for stopping by plumberry pie yesterday! i appreciate your kind comment and the follow! :) just started following you! have a good one!